Your source to Bitterroot Lake boat rentals, jet skis, water sports, and tour service company. This lake is an easy half hour drive west from Kalispell, Montana off Hwy 2 and up paved Pleasant Valley Road. Bitterroot lake is about 3,000 acres in surface area with an average depth of 114 feet and highly popular for boating, camping, and exploring activities. A public boat ramp is located on the southwestern rim of Bitterroot Lake and there is no towing required when you rent or captain a watercraft from our company. 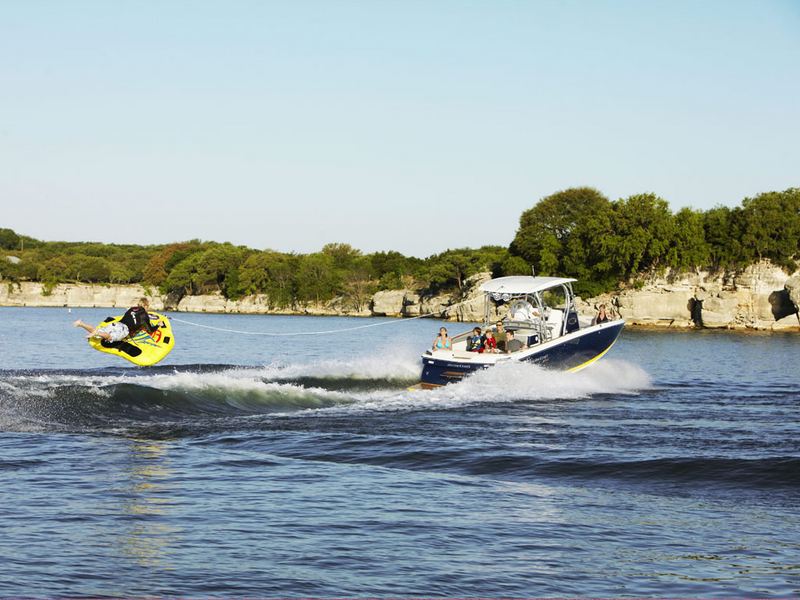 Recreational activities include water skiing, wakeboarding, tubing, wake surf, kneeboard, wakeskate, and canoeing. Montana Fish Wildlife and Parks report Kokanee, Rainbow Trout and Yellow Perch excellent fishing opportunities for anglers.